Voters can cast their ballots Nov. 6 at Unalaska City Hall between 7 a.m. and 8 p.m.
Tuesday, Nov. 6 is Election Day. The polls will be open at Unalaska City Hall from 7 a.m. until 8 p.m.
Island voters can see a sample ballot here. The ballot includes races for the U.S. House of Representatives, Alaska's governor and lieutenant governor, state senator for District S, state representative for District 37, the third judicial district's superior and district courts, and Ballot Measure No. 1, an initiative aimed at toughening the vetting and permitting processes for projects proposed in salmon habitat. Voters will be asked for identification. Many forms are acceptable, including voter ID cards, driver's licenses, state IDs, military IDs, passports, and hunting and fishing licenses. 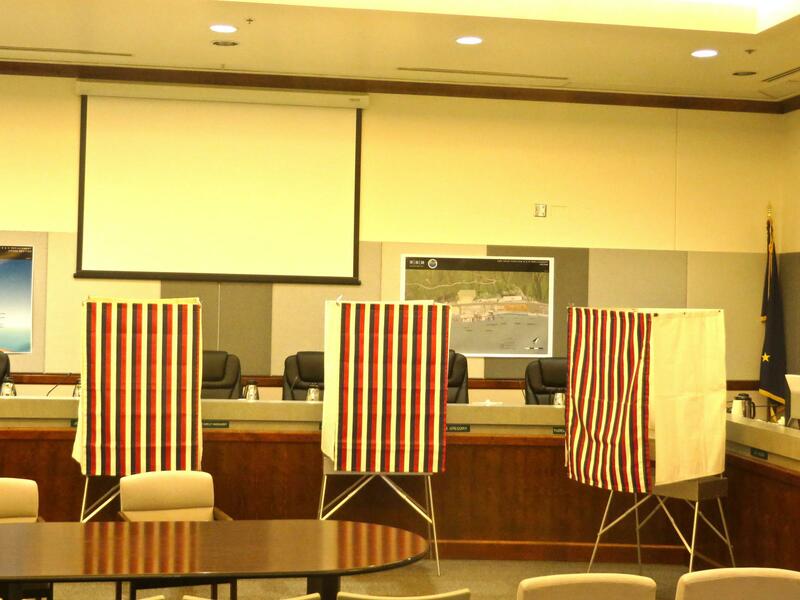 State election officials say voters may also present current utility bills, paychecks, and government-issued documents. Language assistance is available for voters who speak Alaska Native languages, Tagalog, and Spanish. Those who can't vote in person because of age, illness, or disability may have a personal representative pick up and deliver their ballots to them. For a step-by-step guide to voting and other additional information, visit the website for the Alaska Division of Elections, which will begin posting results around 9 p.m. Results will be updated as precincts report.